Asya was born in St. Petersburg, Russia in 1969 and 10 years later immigrated to the United States with her family. Having spent the majority of her life as a classical ballet dancer, it wasn’t until 1997, when she started thinking about a career transition, that she picked up a camera with any serious intent. As a dancer and while growing up in San Francisco, she studied at the San Francisco Ballet School and later at School of American Ballet in New York. Upon graduation she danced with San Francisco Ballet and Miami City Ballet before moving to England in 1993 where she joined Birmingham Royal Ballet as a soloist. During her career she performed many soloist and principal roles in both classical and contemporary repertoire and toured extensively in the US, Far East, Europe and South Africa. Her interest in photography began when she was still living in Russia long before there were any thoughts of becoming a classical dancer. Her father photographed and this undoubtedly had a significant influence on any professional decisions she took later in life. While with Birmingham Royal Ballet, Asya started photographing for the company. Her work immediately began to appear in programmes and on posters. 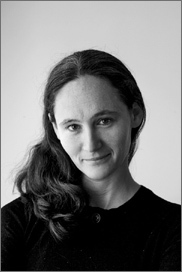 In 2002 she retrained in photography with a grant from the Dancers' Career Development. Her work has regularly appeared in Dancemagazine, Dance Europe, Ballett2000, Dancing Times, Royal Ballet and English National Ballet, Birmingham Royal Ballet publications and all the British national newspapers. In July 2002, Asya was the recipient of the Award for Development of Individual Artists from London Arts. Her work is currently represented by ArenaPal. She lives and works in London.